The Mad Platter is not your average catering service. In addition to their clever name, they have catering options of every kind, for every meal. They can serve a buffet breakfast as well as boxed lunches and a full-service cocktail hour. This caterer only asks that you give them 24 hours notice, so if catering is something you have left until the very last minute, this company has you covered. Choose from their extensive menu to feed your guests a meal you will all love. 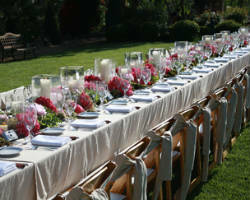 Finding a local caterer who arranges events as seamlessly as the most experienced hotels is hard to find. 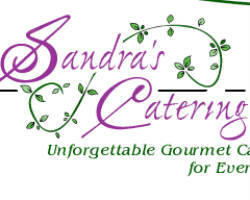 Sandra’s Catering is the premier local caterer in Nashville for unbeatable home cooking and gourmet dishes comparable to a top chef. For weddings, Sandra personalizes menus based on your tastes and likes. She does offer a menu with items for couples to choose from but really relies on her interaction with clients to develop a menu suited to them. You can have anything from crawfish hors d’oeuvres to a fully seated formal dinner. 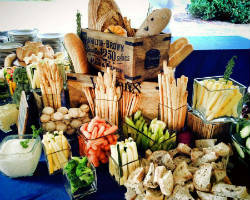 While many caterers offer a menu with a few items to choose from, this Nashville catering service offers many different menus to choose from. Alexander Catering LLC can serve sandwiches and provide party trays as well as full dinners with Ethnic, Fajitas or Italian catering. With these kinds of options, you can be sure that you are getting the dishes you love, the catering style that fits your event and impeccable service. Regardless of the event or style, this caterer has done and will do it all. 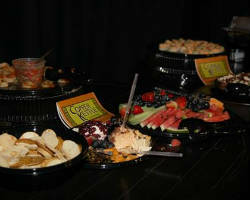 C & K Catering takes a personal approach to providing the best quality foods and dishes possible. They ask that each potential client fill out an event questionnaire. This gives them the initial information they need about your event. After they are in the know about the size of your event, style, etc. you have a personal consultation to choose what kind of menu you would like to present to your guests. You can serve them Mexican food, Asian cuisine, or even Jamaican style dishes. 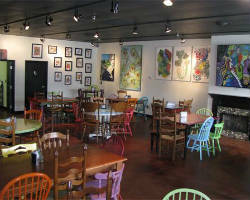 Perl is a catering company and event space, though the two do not always have to go together. If you would like delicious catering at any venue, choosing Perl gives you access to countless menu options that everyone will love. The gourmet dishes they offer as appetizers, soups, salads, entrees and desserts have all been crowd pleasers earning them permanent spaces on their grand menu. Wedding catering companies in Nashville need to live up to the standard in food quality and service set by this company. 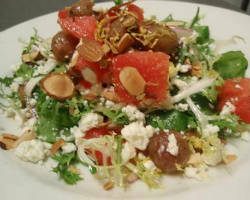 Copper Kettle Café and Catering specializes in catering wedding receptions. The company puts an emphasis on the details meaning your dining experience will be the very best. They offer formal dinners or buffet service and even specialty stations. A carving station is available for those couples that love Southern BBQ, and party packages are available to include hors d’oeuvres, specialty stations and a fully seated dinner. With a buffet menu starting at $24.50, you are getting a tasty meal that is relatively cheap for a full reception dinner. 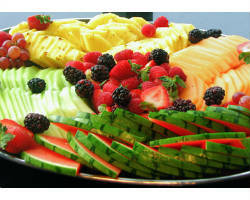 The options offered at Menu Maker Catering are extensive and endless. They want to meet the needs and likes of every couple on their big day. They offer everything from an elegant seated dinner with gourmet foods, to Southern dishes that will make you feel like you’re at a Sunday cookout. You work with the company to choose a menu that you love and will suit your budget. Their range of dishes means there is also a range of prices; with affordable options for everyone. 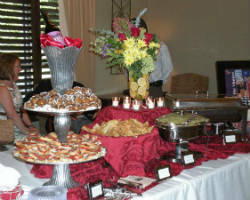 A Dream Come True Catering offers high-end catering for your large corporate lunch, wedding reception or birthday party. This company has been the top local caterer in Nashville since their conception over 25 years ago, so you know they will give you quality stress-free service for any event. 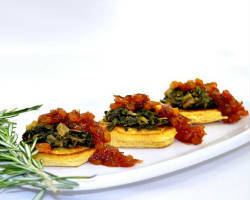 For a reception dinner, they offer a huge selection of gourmet dishes that have always been crowd pleasers. Their menu options for hors d’oeuvres is three pages long so you can only imagine the huge amount of choice you will have for the entire meal. Southern food is classic and the favorite of many Tennessee couples so if this is your favorite, then it is only natural that you would want to serve it on the biggest day of your life. Enjoy wearing a dress you love, marrying the man you love and most importantly eating the food you love from Monell’s Dining and Catering. They will serve you Southern Fried Chicken with all the fixin’s like cheese grits, cornbread, biscuits and gravy for a set price that can be customized to fit your budget.